Tiffany Zajas Photography: we're having a giveaway! As I announced on Saturday, I just recently opened up my very own hand illustrated card shop. In celebration of the grand opening of "with love tiffany", I have decided to have a little giveaway on our little blog here. and come back here to the blog and leave a comment telling me the names of the two card designs that are your favorite. This is my first giveaway on the blog, so I would love if you would participate! So, go to my shop and pick your favorites now! I love "out on a limb"
your cards are precious tiffany! some of the cards have disappeared. when i first looked at your shop there were sixteen and now there are only ten. but they are all adorable! I love 'Out on a limb' and 'a stroll through the forest'. I am so glad that you finally opened a shop on Etsy! I know everyone will love them! I love "Sweet As a Cupcake" and "Sam the Owl" cards!! 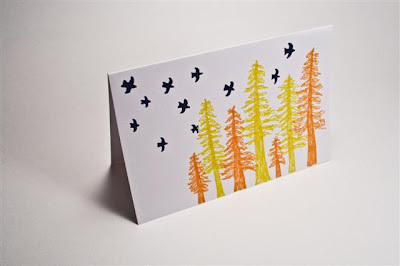 I love color and simple shapes and forms so found them especially delightful although all of your cards are really great!! Really they are all excellent. Your very talented! Out On A Limb and Abstract Rain are my favorites. Good for you for opening your own shop. It's very exciting! I love the Pink and Orange Starbursts card and the card called Sweet As A Cupcake. Thanks for the chance to win. Wait, what's with all the girl entries? And how does "Anonymous" get their cards if they win?? Clearly, I should be the chosen one. my favorites are "out on a limb" and "sam the owl". I had so much trouble choosing because they're all so cute! twigs of green and out on a limb :) sooo adorable! My favorite cards are: twigs of green, and you are loved. You have wonderful cards!! I love them all!! my favorites were bouquet of yellow and twigs of green. I think I may be the third guy to post on this subject, but hey, I'm secure in my manhood. But they all look great! You and Jonathan both have a great designer's eye. Bouquet of Yellow & Abstract Rain. Out on a Limb and Sam the Owl! I adore the the dandy dandelion and the stroll through the forest. Lovely work and great giveaway. And don't worry about flickr. I'm pretty sure everyone promotes their shops, blog, websites, giveaways, etc. These are AH-mazing!! Love them all!!! It was so hard to choose 2! But, I'll go with the cutsy Cute as a Cupcake and Pink and Orange Sunbursts cuz I love pink and orange together! I love 'Sam the Owl' and 'Dandy Dandelion'! I think they are all adorable but I especially like Sam the Owl and Cute as a Cupcake!